Yu Quan Wan – 200 ct.
Xiao Huo Luo Wan – 200 ct.
Qing Qi Hua Tang – 200 ct.
An Shen Bu Shen Wan .. This Traditional Chinese formula is to calm the nerves and regain normal heart beats by adjusting t..
Ba Zhen Wan (Eight T.. 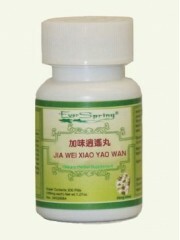 This Traditional Chinese herbal formula helps nourish vital qi (energy) and benefits blood. It is u..
Bai Feng Wan – 200.. 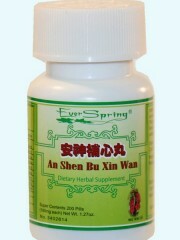 This Traditional Chinese formula invigorates Qi and nourishes the blood, helps to regulate menstrua..
Bu Shen Wan – 200 .. This Traditional Chinese herbal formula is used to tonify the Kidneys, with pain in the lower back,..
Fu Fang Dan Shen Wan.. 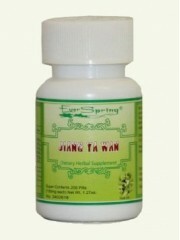 This Traditional Chinese herbal formula promotes blood circulation by removing blood stasis, cause..
Huo Xue Tong Mai Wan.. In traditional Chinese medicine this herbal formula is used to promote blood circulation to remove ..
Jia Wei Xiao Yao Wan.. 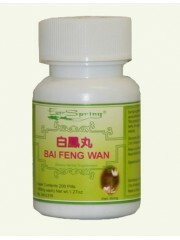 In traditional Chinese medicine this herbal formula is used to disperse liver Qi stagnation. While ..
Jiang Dan Gu Chun Wa.. This Traditional fomula helps with vital energy, encourages blood circulation to remove blood stasi..
Jiang Ya Wan – 200.. 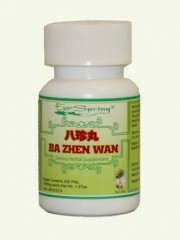 In traditional Chinese medicine this herbal formula is used to help with hypertension due to Liver ..
Jin Gui Shen Qi Wan .. 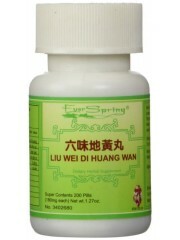 In traditional chinese medicine this herbal formula helps with kidney yang, cold feeling, sore lowe..
Liu Wei Di Huang Wan.. 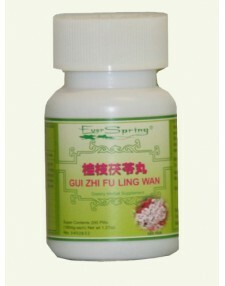 In traditional Chinese medicine this herbal formula is used to nourish Yin and is the foundation fo..
Qing Qi Hua Tang –.. In traditional Chinese medicine this herbal formula is used to remove heat from the lungs and disso..
Tian Wang Bu Xin Dan.. 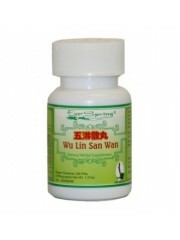 In traditional Chinese medicine this herbal formula is famous for replenishing the blood and Yin to..
Wu Lin San Wan – 2.. 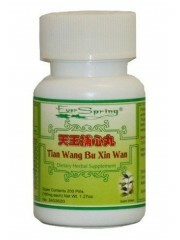 This Traditional Chinese herbal formula is used to maintain a healthy water metabolism by warming t..
Xiao Huo Luo Wan –.. 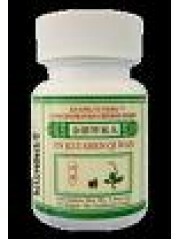 This Traditional Chinese herbal formula is used to expel wind and remove dampness, activates the c..